I’m dumping quite a lot of disks in different formats. For that I’m using the Kryoflux, but quite often are the disks dirty, and the dirt gets stuck to the read head of the drive. 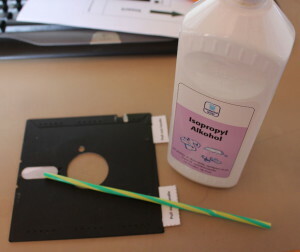 I’ve shown how to clean a 5 1/4″ diskette before. And how to clean a Commodore 1541-II drive (the other models are quite similar). The PC diskettedrives are no different, but to be honest they aren’t as easy accessible to clean when inside an enclosure as the stand alone commodore drives. I found in a forum -at writing hour I cannot find the reference again, sorry, I think it was vintage museum forum- how to make a cleaning disk yourself. I’ve tested this method myself and very happy to have my drive cleaned again. One of the heads were dirty, real dirty, nothing could be read from the disks I tried. Just look how much filth I removed using my first inlay. Now here’s how to do it. 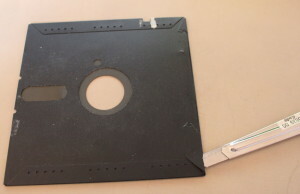 Take a disk and gently cut open the back. 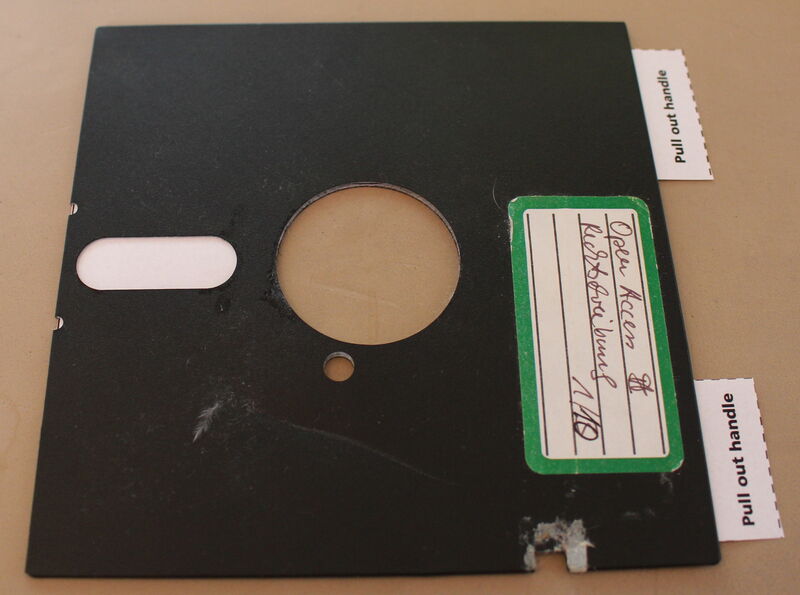 I recommend you take an already defective disk. Pull out the magnetic disc. 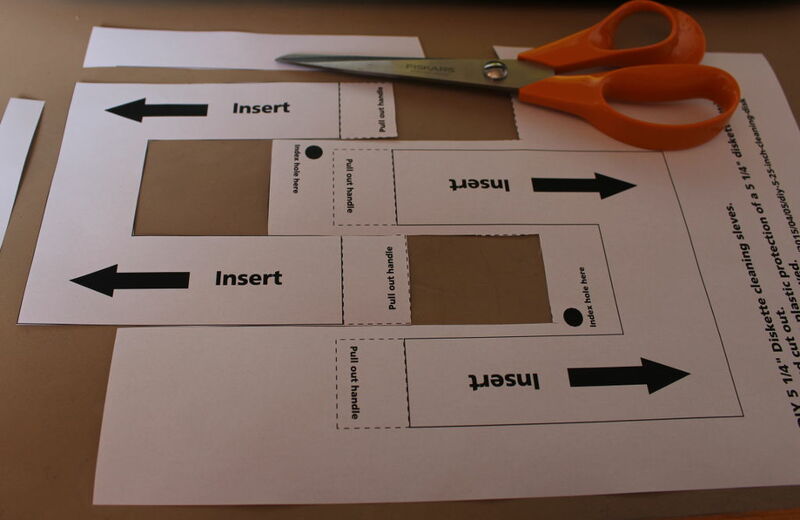 Print out the template (download link below), or you can make your own. You can use regular printing paper for this. Alternatively you can use coffee filters (don’t print on these). 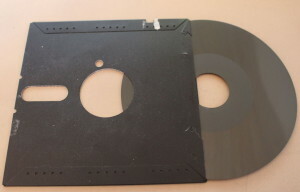 Insert the new inlay into the disk. Make sure the rotation hole is clear, else the spinning might tear up the paper. I’m using a straw as a pipette, a few drops of isopropylalcohol on the paper where the drive heads read the disk. 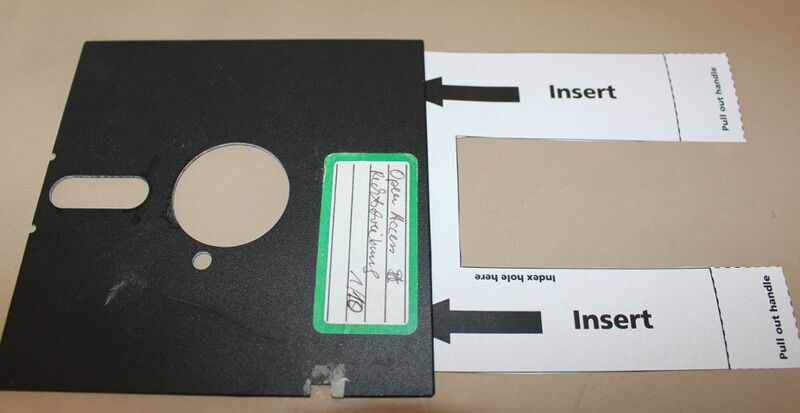 Insert the disk into the drive and close the lock. Make the drive work it’s head back and forth. 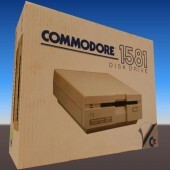 If the disk drive is connected to the computer natively you can do a directory listing, or a disk copy which should move the head back and forth. For the kryoflux setup a calibration test is great. Reading from the disk just makes it tell there is no disk in the drive. 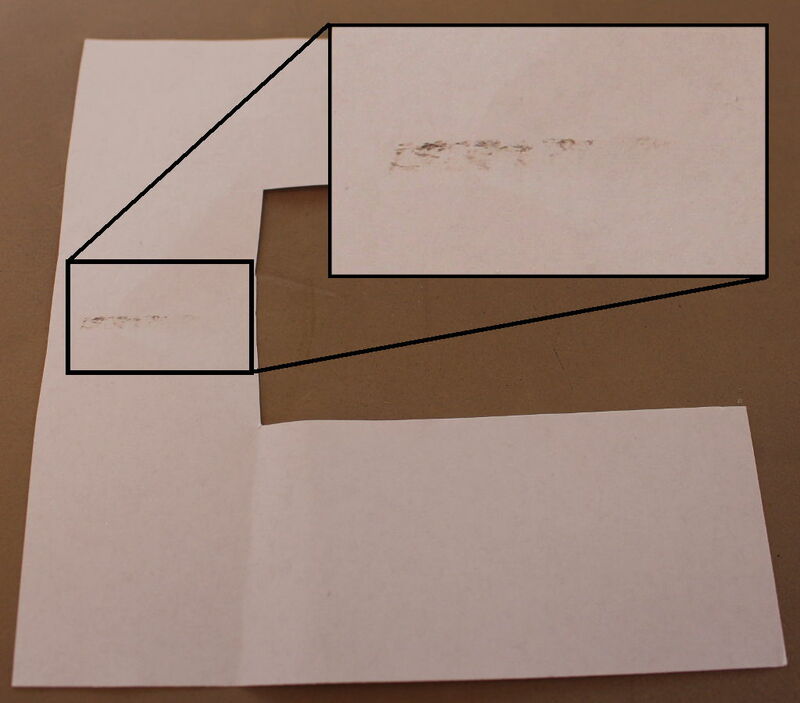 I have yet to find an amount of cleanings one can do with these inlays, but depending on the amount of dirt that rubs off, you may want to change them often. I’ve tried 5 cleanings using the same paper, but at one time the paper will break. Download PDF Template for cleaning disk. Disclaimer: I take no responsibility if you break your drive using this tip. It worked for me, but might not work for you.